Elite Cannabis Competition, Festival & Craft Cannabis Industry Trade Show in Canada! 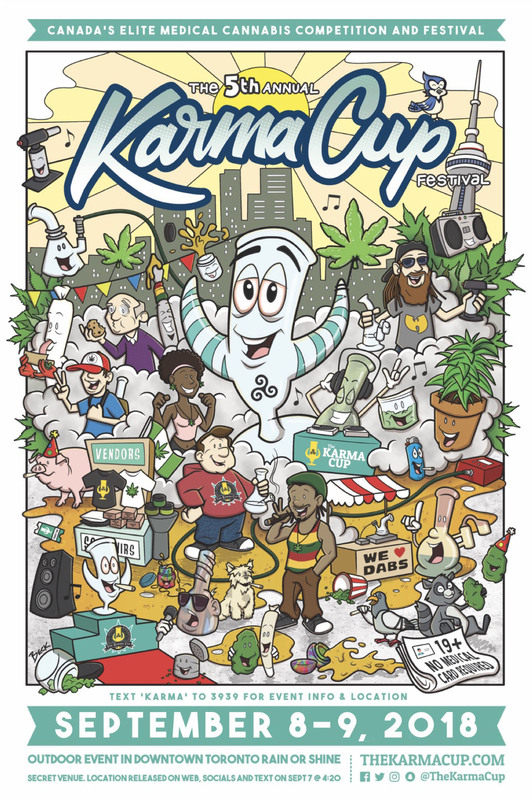 The 6th Annual Karma Cup is an Elite Medical Cannabis, Hash, Edibles, Topical Competition and Festival held in Downtown Toronto on September 7th & 8th 2019. The festival will include: Music, Speakers, A Canadian Glass Marketplace, Vendor Village and of course, Canada’s top industry Exhibitors. 2019 Poster, Flyer, Judges Pass and General Admission Tickets released SOON! Our unique glass fully functional glass trophies are awarded to winners in each category.